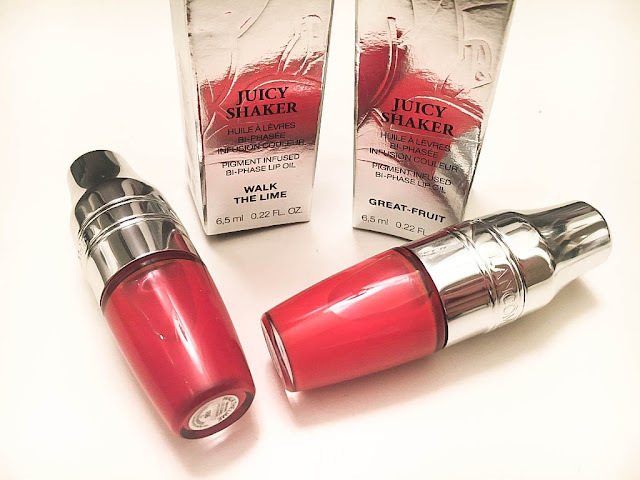 I managed to get my hands on two of the new Juicy Shakers by Lancôme the other week and can't believe it's taken me this long to review something I was actually happily surprised at. These colourful pops of lip oil landed on my doorstep along with some similarly coloured jelly beans. I've been trying out new products to wear on my lips recently, because along with eyeshadow, lipsticks and lip glosses are only really things I wear on nights out. I would really like to wear it more casually and learn to get better at applying them and experimenting more with the makeup that I wear. The great thing about these Juicy Shakers is their sheerness. 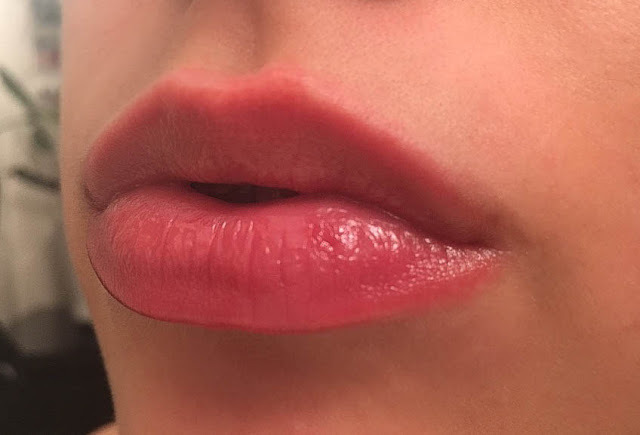 I don't have to worry about them being to bold or too bright for the day time as they slide on like a gloss but have the slick non-stickiness of an oil. But there in-lies the issue. 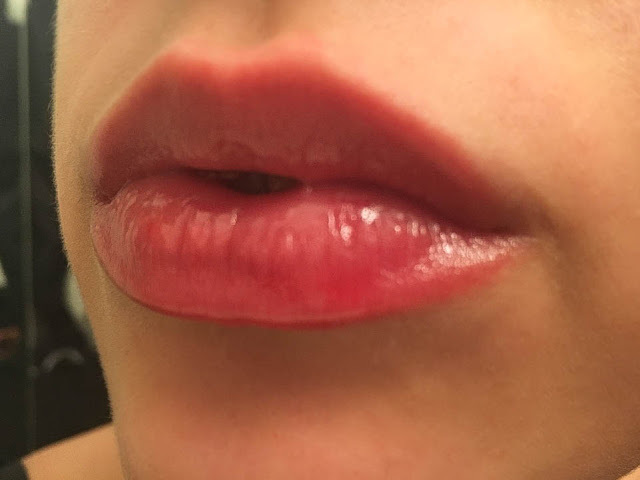 They don't last very long on the lips and the difference between the colours, because they're so sheer, is minimal. At least we can have faith in the fact that each shade will last a long time! 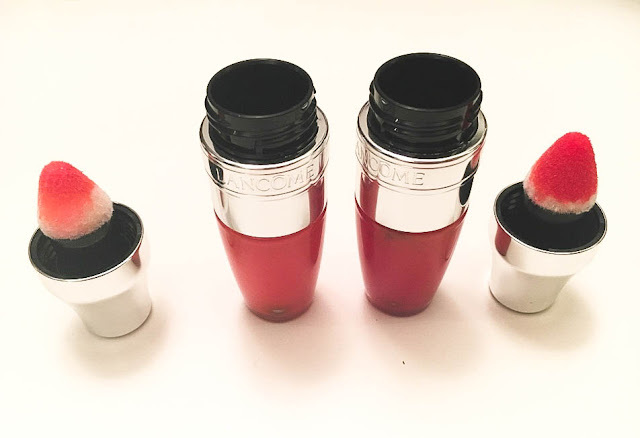 The products themselves are styled in shape after a cocktail shaker and you've got to use it like one too! In each shaker is a mixture of nourishing lip-plumping oils including sweet almond oil, cranberry oil and omega 3, combined with a nice dollop of scented pigments. 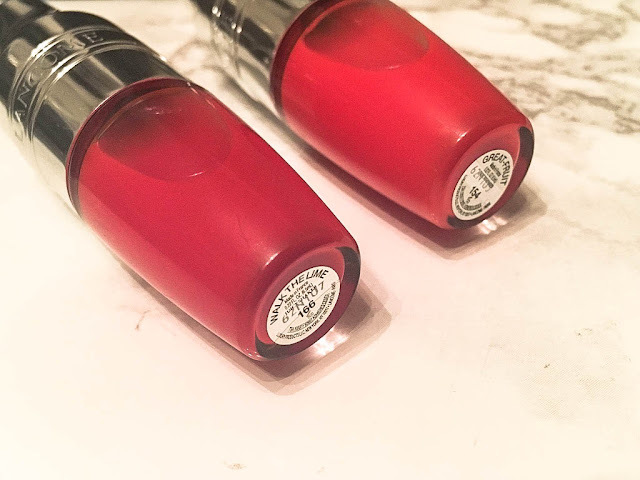 The more you shake, the stronger the colour gets, even apply over lipstick to add a coat of glossy shine. The sponge inside the shaker is perfectly shaped to hug the contours of the lip and the three holes allowing the pigment to soak the tip allow the most perfect amount for application. Each shaker smells divine too... fruity, zingy hints of fragrance which brings us back to the fruity cocktail theme. 154 Great-Fruit and 166 Walk the Lime shades are not too dissimilar in colour when they're on, but they do have slightly different tints of pinky-peach and coral which make them perfect everyday lip oils. The packaging is simple and stylish and with 12 other shades available in the UK, there's plenty to choose from including a limited edition pale blue shade. These innovative glosses are available direct from Lancôme for £18 or if you want Boots points, you can get it from them too! Have you tried any of their shades, which is your favourite? Hi! Will do. 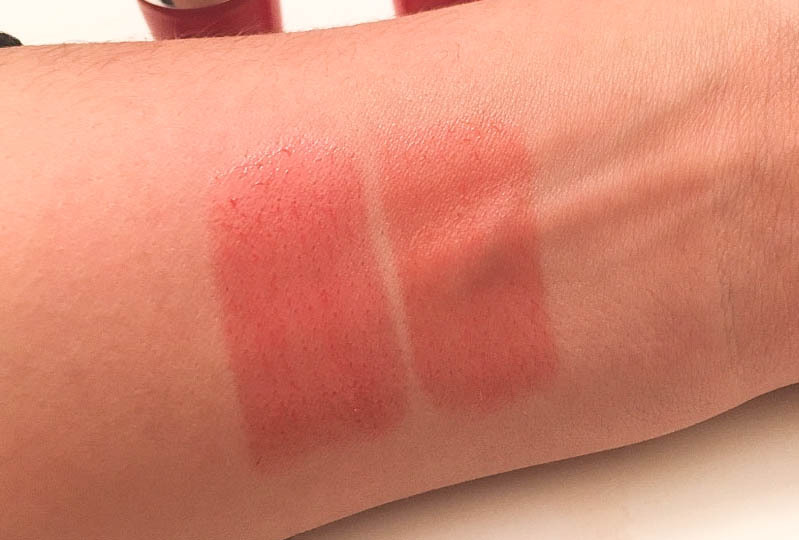 I've swatched quite a few now and they all come up so much brighter on the back of my hand and then when i go to put them on my lips, the colour just gets absorbed. Like Renata said, it's like our lips but better! They are super nourishing though!